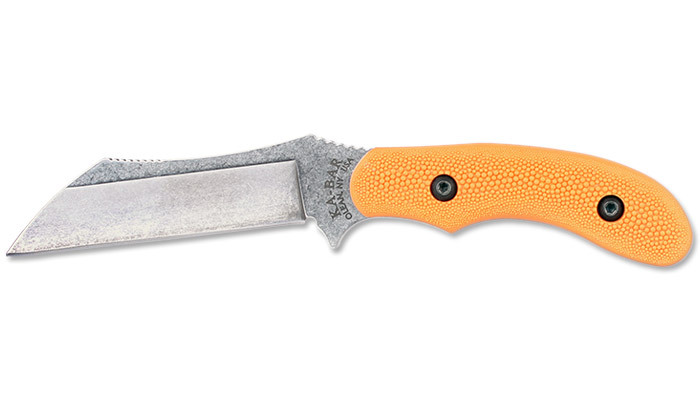 The Wharnstalker is a hard working knife that no hunter should be without. It has a 4-3/32" long 440A stainless steel blade that is ground to a razor edge. Its multi-position handle is textured with KA-BAR's proprietary Adventuregrip™ so you can easily control it for tasks as delicate as field dressing. And, the Wharnstalker is sold with a MOLLE compatible nylon sheath with front pocket.